For every Drunk Driving case that I undertake I do a thorough investigation to determine that your rights were not violated. First I look at whether the police officer had a reason to stop you. In the absence of a traffic violation an officer must have a reasonable and articulable suspicion of ongoing criminal activity to stop you. Second, I look at whether the officers had a reason to force you to submit to chemical testing. Officers must have reasonable cause to administer a breath test. This is accomplished by determining whether the officer administered Field Sobriety Tests in accordance with National Highway Traffic and Safety Administration guidelines. Third, I will determine if administrative rules were followed in administering the actual chemical test. Any deviation from approved methods of administering the Breathalyzer test will call the BAC results into question and provide you with a defense to drunk driving charges. Jacob A. Perrone was an associate of the Ambrose Law Group in the Detroit area before forming Perrone Law, P.C. in December 2009. Ambrose focused on Criminal Defense and DUI. He uses the principles of psychodrama in preparation for litigation based upon principles taught by Gerry Spence at the Trial Lawyers College. This approach recreates the events to give him the best understanding of the facts of the case to construct a theory that will be effective at trial and allow him to understand the facts as well as the clients to undermine his opponents witnesses on cross-examination. He was born and raised in Lansing and has very strong ties to the Mid-Michigan community. 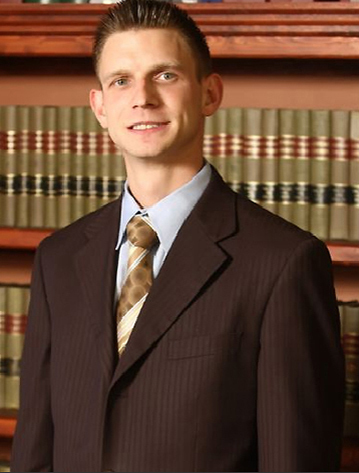 Jacob A. Perrone has represented thousands of clients throughout the State of Michigan. He has represented clients in cases including, but not limited to: class action litigation, high profile criminal trials, complex civil litigation, international business transactions, and contentious divorce and child custody proceedings. His reputation for being an aggressive attorney is supported by the results he has achieved for his clients. He was an associate of the Ambrose Law Group in the Detroit area before forming Perrone Law, P.C. in December 2009. Ambrose focused on Criminal Defense, Bankruptcy, Civil Litigation, and Family Law. He uses the principles of psychodrama in preparation for litigation based upon principles taught by Gerry Spence at the Trial Lawyers College. This approach recreates the events to give him the best understanding of the facts of the case to construct a theory that will be effective at trial and allow him to understand the facts as well as the clients to undermine his opponents witnesses on cross-examination. He was born and raised in Lansing and has very strong ties to the Mid-Michigan community. Jacob A. Perrone graduated from the Thomas M. Cooley Law School with a concentration in Business Transactions and obtained a Bachelor's Degree from the University of Central Florida in Legal Studies. Mr. Perrone worked for two (2) years while in law school at the Access to Justice Legal Clinic in the Ingham County Circuit Courthouse that provided him with a foundation in Family Law that he has built upon through extensive practice. He also worked as a law clerk for Michigan's State Office of Administrative Hearings and Rules, now known as the Michigan Administrative Hearing System, that gained him knowledge of the inner workings of the varying State of Michigan agencies. Mr. Perrone has dedicated his life to the pursuit of justice and achieving his client's objectives.